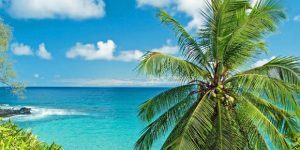 Hi, we are looking at June 20-30, 2019 – any bay area airport to Honolulu. Any chances prices will come down to low/mid $400s range or are we out of luck? Should we just book now with prices at $523 r/t ? Suggest buying at that price, which is actually about $200 less than normal for those dates. Could come down but again no guarantee and not even sure about likelihood. Thank you very much for all your hard work to keep us informed. We are traveling from August 4-10 with no flexibility to Honolulu from Oakland or San Jose, San Francisco, or even Sacramento. Currently the prices are very high and we are not sure what to do. Will southwest really announce it’s new routes ? Will other airlines drop their prices? Please advice cause I don’t know whether I should buy the expensive tickets or wait for a good deal? Right now the cheapest fare is around $550 round trip. If you’re flexible and ready to not come or pay more later, then suggest waiting. Early August is a time when we really could see more sales. On the other hand, $550 is a very fair price for summer, so jumping on that would not be a mistake either. Your call. 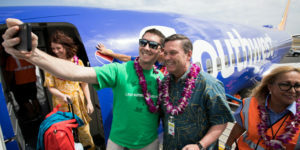 Hello,If southwest announces its direct flights from Sacramento Ca, to Honolulu, will other airlines drop their prices for the same route only or also other Bayarea airports. Thank you ! Good question. Competition will primarily remain on a route by route basis. But with Bay Areas airports, there could be some slop over wherein the other airports will also benefit. Remains to be seen of course. Hi! 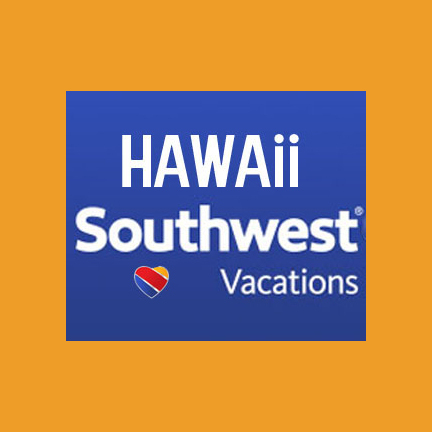 Waiting anxiously for that Southwest show to drop … looking for good deals in late June from Sacramento to Lihue. Should I keep waiting? Mahalo. We are publishing all the information we have on Southwest and will advise as soon as we know more. Nonstop on that route is in our minds unlikely but connecting is a possibility. Party of 4 from Sacramento, spending a week in Kauai beginning Aug 16, then a week in Maui, returning to Sacramento Aug 30. What is your recommendation on how long to hold out hoping for better fares? We will be traveling from Sacramento, Ca to Maui (OGG) Oct. 16th-31st 2019, What is the best time to book? I’m looking at prices now and hoping prices will come down. Am I wrong to think that? Best guess is in about 60 days. Definitely no rush, especially for your mid-week dates. When Southwest announces, that should really help pricing on your route. Target price of $150 or less each way. Yes, assuming Southwest operates on the same route, prices will definitely drop. If you are flexible in your travel plans, so much the better. 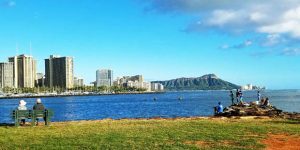 Hawaii Airlines deal from Phoenix to Honolulu is showed here for $316 during April-June. I went to Hawaii airlines website to book a trip in May but the prices there are from from $598 and up depending on which date of May. Do we need any code/coupon to get that deal when booking? Mahalo. Thank you. Thank you so much for helping those travelers wishing to make a trip to Hawaii, like myself, informed of the best rates to fly. I have eagerly been following your website as I anticipate booking travel arrangements for my family of 6. I am really having a difficult timing pre-determining what will be the best way to book travel from our local airport in Orlando, FL (MCO) to Maui (OGG). Our return route will be from Honolulu (HNL) to Orlando (MCO). I’ve been playing around with “mock” dates to kinda see what will be a price point once the actual airlines drop their March 2020 calendar (out travel dates will be 3/11/20 through 3/21/20). I am having a difficult time because the airlines continue to say that my requesting flights aren’t available. I’ll assume it’s because I am trying to travel from MCO to OGG. 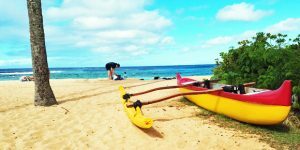 Would you be able to recommend what would be the best way for me to look for flights from Orlando to Maui. I am trying to be prepared ahead of time so I can grab great prices once the calendars drop. Are you familiar with flights leaving the Orlando area? If so, should I look at flights leaving Orlando arriving in California some where and then from California to Maui? If so, where in California would you recommend we fly – LA, Sacramento, SF, etc. Any assistance with this information you can provide would be greatly appreciated. Thank you so much! You can only look 330 days in advance, so that’s why you’re getting errors. You’ll have to wait a few weeks as currently you can only book through March 5, 2020. It looks like your dates will fall smack in the middle of spring break, so you can expect it to be expensive. Starting perhaps at $750 with a very long connection and up to about $900 with a fast connection. Round trip. Doing a stopover on the west coast may not help at all price-wise and adds a lot of complication.